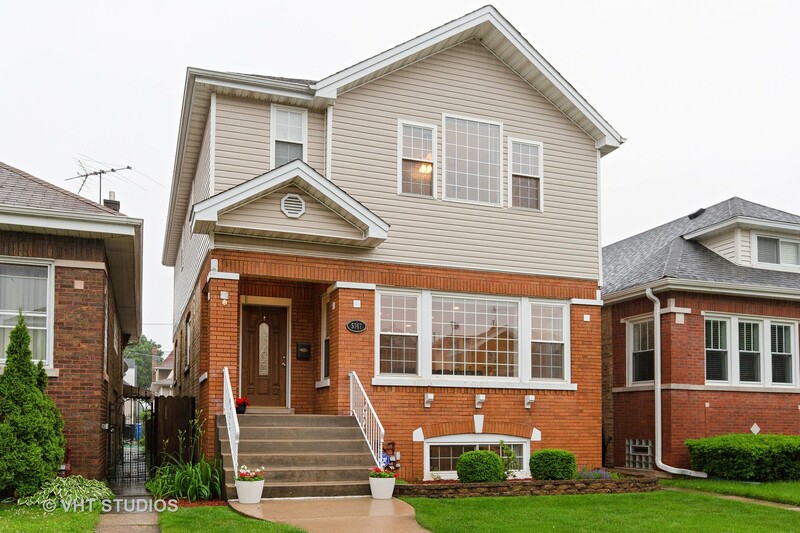 Welcome home to this large 5 bedroom, 4 bathroom single-family home in Portage Park! The X-large living area has windows on 3 sides filling the space with light and an area that could be a perfect reading nook. Additional main floor features include hardwood floors throughout, full bath and a kitchen that open to the dining area with plenty of cabinets, granite countertops and stainless steel appliances. The mudroom comes with a walk in pantry and a walk-in closet. The 2nd floor offers a generous master bedroom, walk in closet, hardwood floors and double sink bath. This floor also has 3 additional bedrooms, another full bathroom and a stackable w/d hook up closet. The finished basement has a large living/rec area, 5th bedroom, full bath, and laundry room. Outdoor deck and two car detached garage with a party door opening onto the grass yard. This well maintained house was just freshly painted and is ready to go!